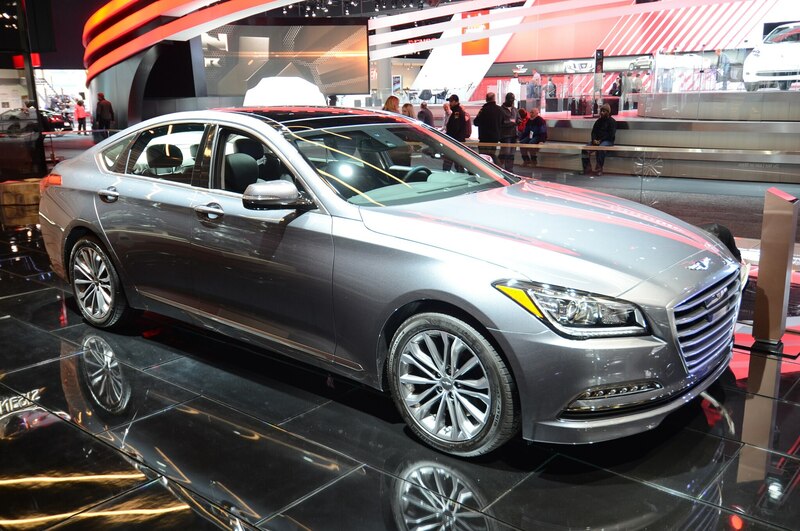 Hyundai’s premium division launches in the U.S. this summer. Albert Biermann promises to establish “a clear, distinct, dynamic character that’s all our own.” All Genesis models will be on a “rock-solid rear-wheel-drive platform,” he says, which presumably means even the three crossovers planned will offer RWD and all-wheel-drive. 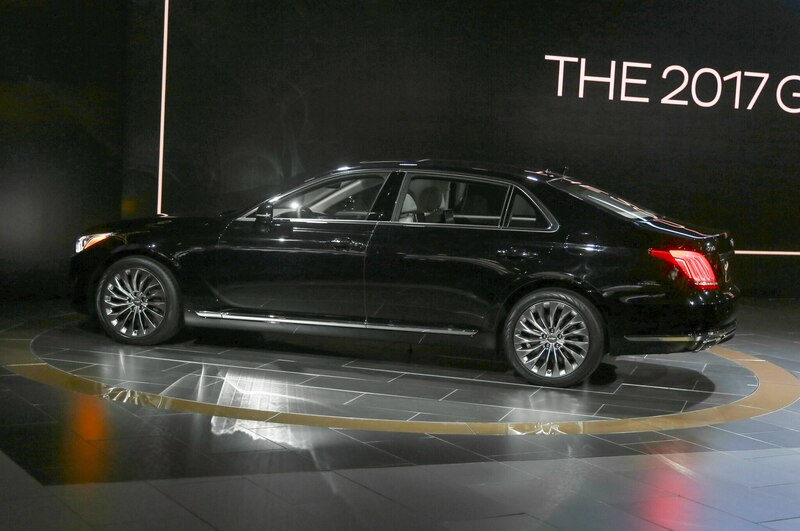 The brand launches with the 2017 Genesis G90, which is a thoroughly updated Hyundai Equus, and the 2017 G80, a facelifted Genesis sedan, both of which go on sale in the U.S. this summer. 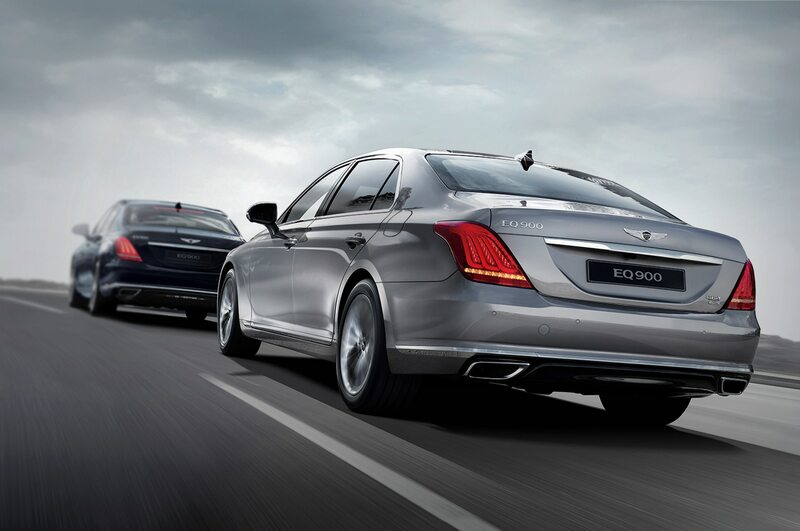 Those sedans take on the Mercedes-Benz S-Class and E-Class and their competitors, respectively. A “sport sedan” named G70 comes afterward to take on the C-Class and its other competitors, notably the BMW 3 Series, with the three SUVs coming within the next four years. The Genesis G80 facelift will feature sportier dynamic characteristics, Biermann says. This is important because as Hyundai design and quality improved exponentially in the last decade, ride and handling remained the company’s Achilles heel. South Korea is covered by straight, mostly smooth roads with lots of speed bumps, and the cars are tuned for comfort there. When engineers in markets like the U.S. tried to retune them, the cars were still compromised, often combining stiff rides with flabby handling. The basis of the new Genesis models is a multi-link suspension “with extensive use of aluminum,” Biermann says, “with precisely controlled kinematics. 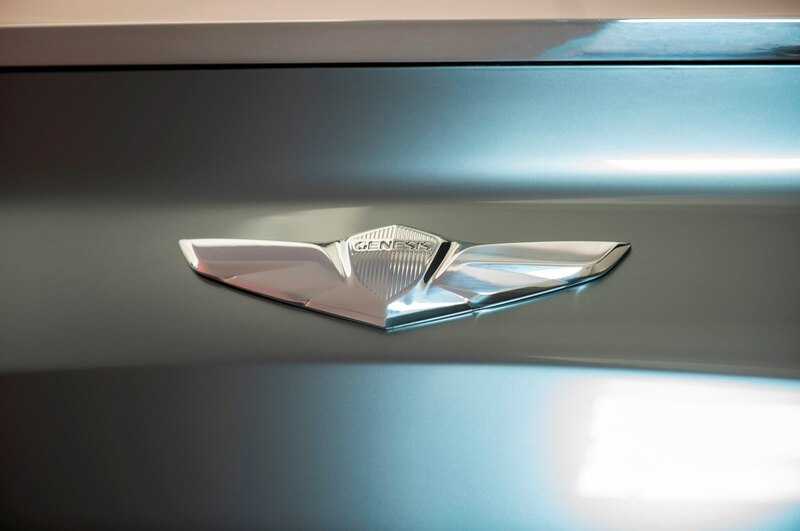 It’s the tuning of these components that bring this vehicle (the G90) to life.” Biermann says the Genesis line will be tuned differently for its various markets. Tuning for North America will concentrate on good high-speed (freeway/highway) dynamics. 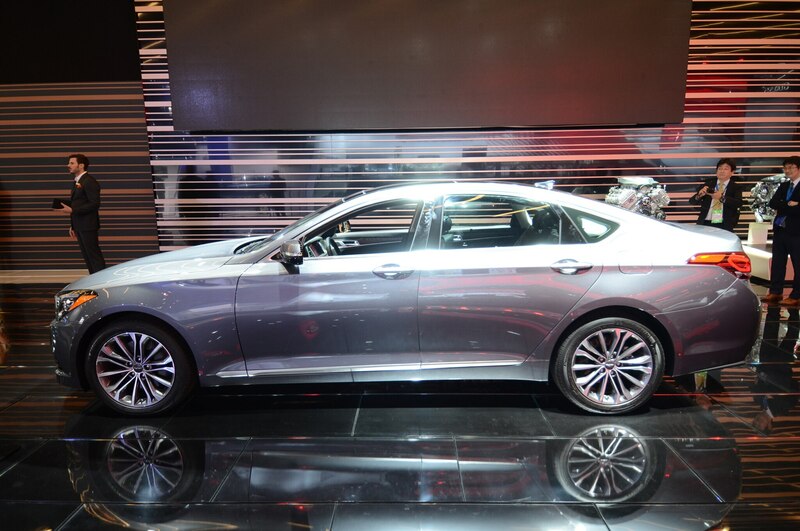 Genesis “N” will be the brand’s M/AMG/V-Series, etc. Biermann’s full title is a long one: Head of Vehicle Performance Development and High Performance Vehicle Development for Genesis. 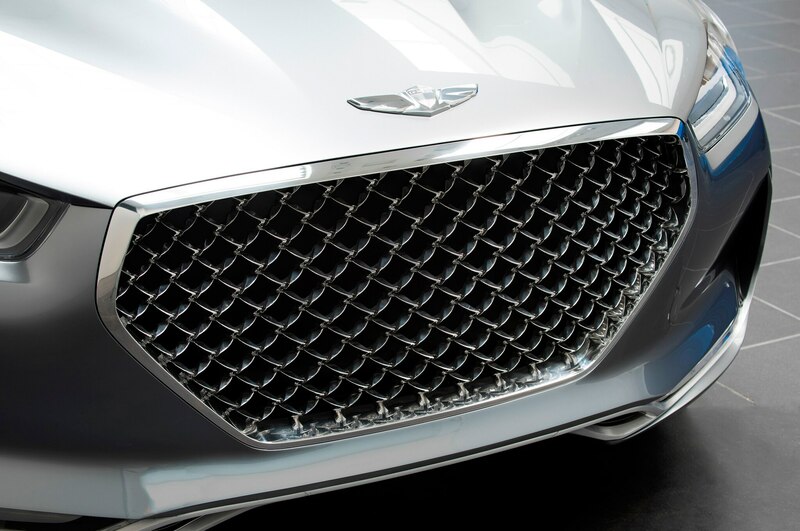 That second title refers to the brand’s new performance model moniker, N. Though Genesis didn’t give any details about N at the Detroit show, it does come right after BMW M, and will also take on Mercedes-Benz’s AMG, Cadillac’s V-Series and all the others. The basics for the hot-rodded luxury cars, in addition to the aluminum-intensive multilink suspensions, are the twin-turbo 3.3-liter V-6, rated 365 horsepower and 376 pound-feet, and the updated 5.0-liter Tau V-8, rated 420 horsepower and 383 pound-feet. Those are the numbers for the quotidian G80/G90 engines; it will be interesting to see what N can do with them. 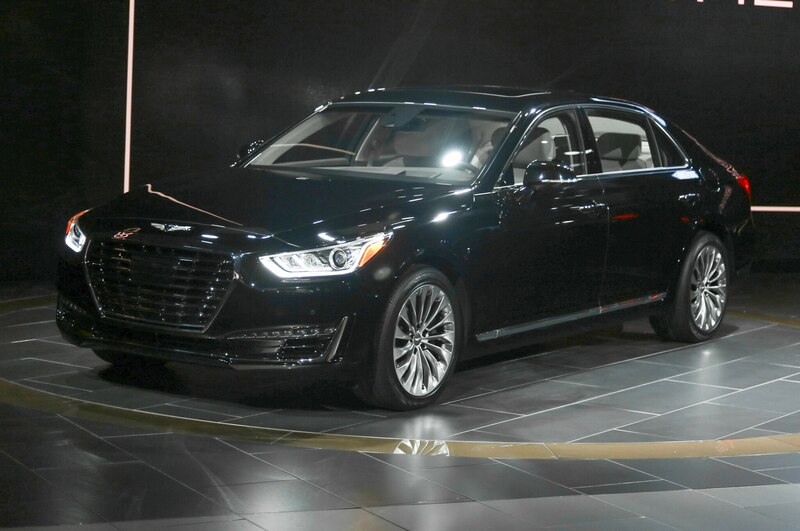 As part of its value proposition, the Genesis G90 launches with two trim levels and one stand-alone option. 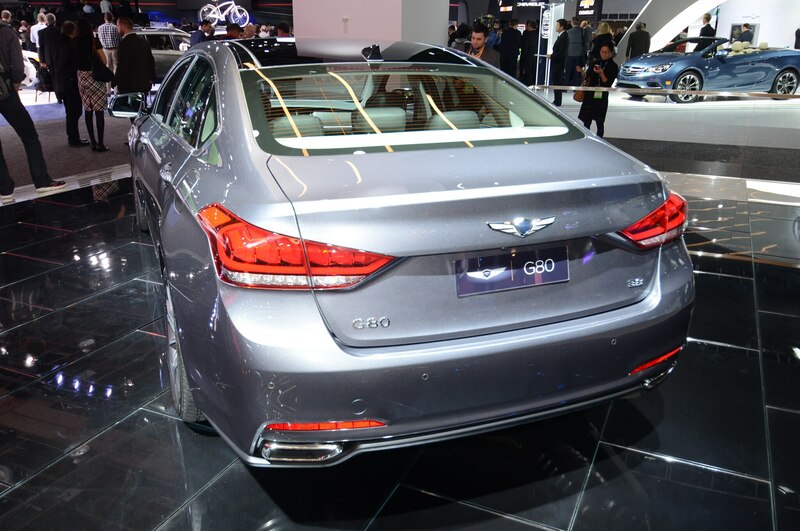 The trim levels are tied to the two engine choices: the G90 V-8 comes with 14-way driver’s side/16-way passenger’s side power-reclining rear seats, for example; the twin-turbo V-6 model does not. An all-wheel-drive option is available with either engine, however. While this sort of simplified option sheet might work for a front-wheel-drive midsize sedan, it’s not what the rest of the luxury automotive world is doing, especially the Germans. The competition typically offer a wide array of options, accessories, and interior trim choices in order to let luxury customers “personalize” their cars — it’s a step short of the bespoke treatment that Rolls-Royce, Bentley and other ultra-luxury brands offer, and it boosts the mainstream luxury brands’ profit margins, as well. What’s more, due in part to European CO2 and U.S. Corporate Average Fuel Economy standards, Mercedes and BMW, especially, aren’t limiting their top-equipment offerings to models equipped only with the biggest, most powerful engines. 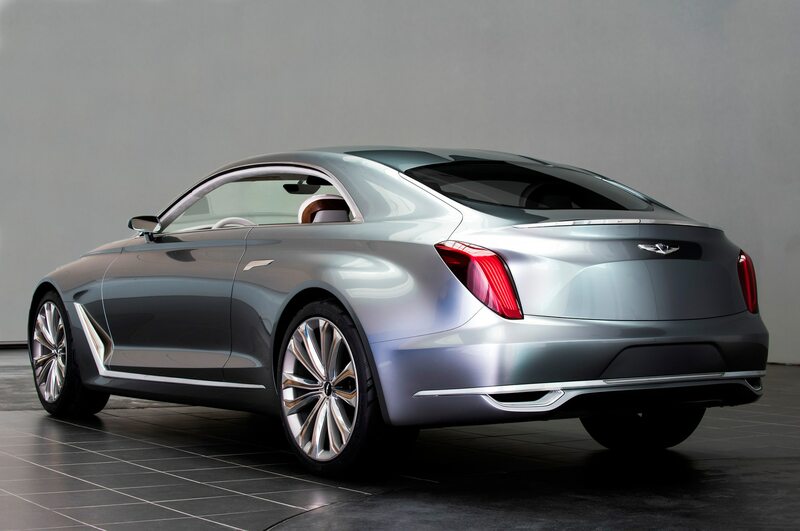 I suspect Genesis will have to alter this strategy as it rolls out four more models by 2020. 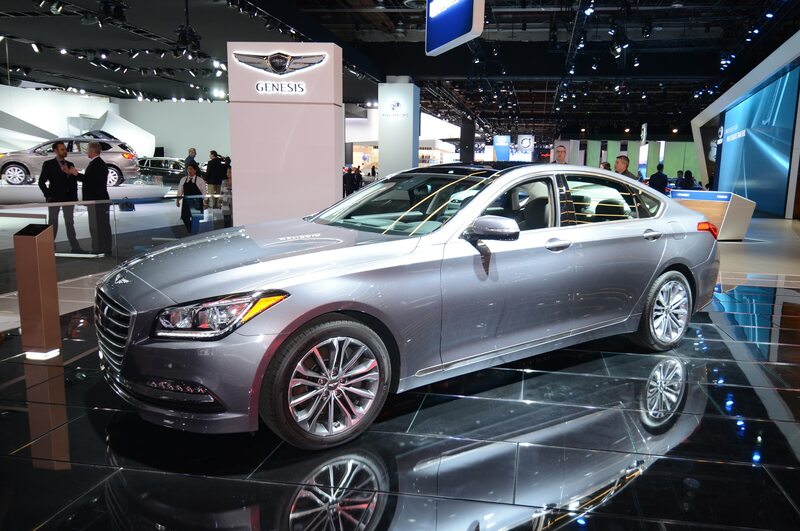 Speaking of rolling out more models, Hyundai Motor is not requiring its selected Genesis dealerships to open a separate facility, or to even offer a showroom within a showroom. This is because it’s launching with two fairly low-volume models that can’t justify such expenditure. Hyundai instead is expanding its Your Drive, Your Place service for Genesis customers. Since Acura, Infiniti and especially, Lexus, launched here with standalone showrooms in the late 1980s, personal service has been key to the “luxury experience.” Those customers don’t want to mix with the hoi polloi buying common Hondas, Nissans and Toyotas. Or Hyundais. 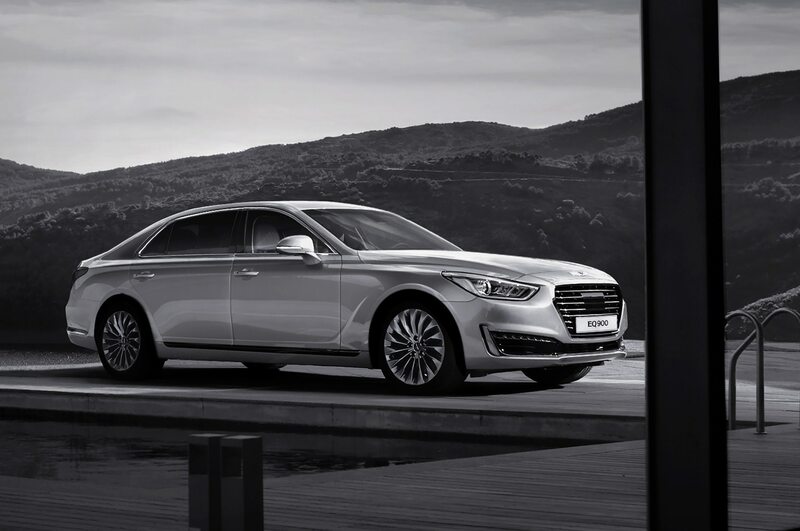 Your Time, Your Place means Hyundai will pick up and deliver the Genesis to you, dear busy luxury customer, at your home or office, whether for a test-drive, or for maintenance and service. Hyundai says it has no other distribution plans for the time being, but you can bet that will change once it has a full selection of models by the end of the decade. 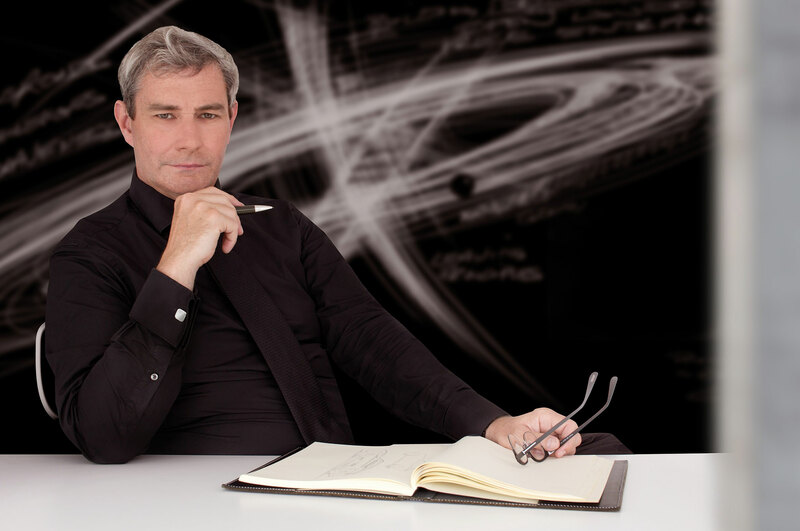 Hyundai Motor announced back in November that Luc Donckerwolke, of Bentley, Lamborghini and Audi fame, is now chief of its new Prestige Design Group. 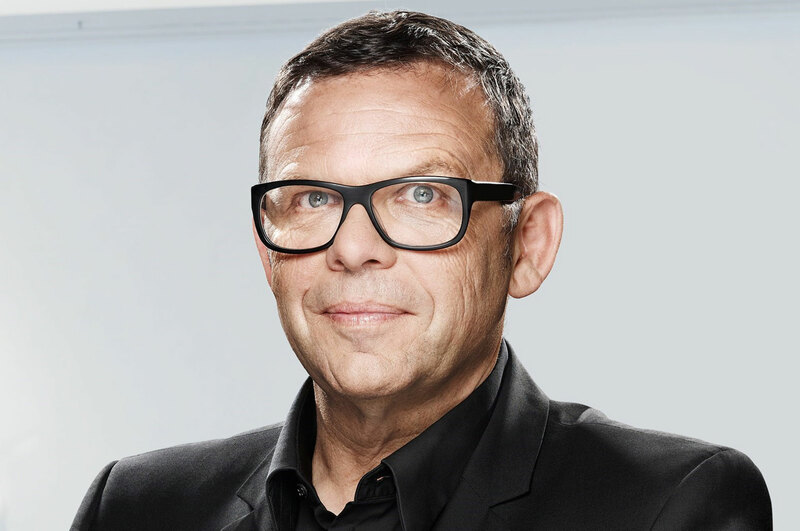 “We have assembled a dream-team of designers totally dedicated to Genesis,” Hyundai Motor Group design chief Peter Schreyer — known for his work on the original Audi TT, among other Audis and the Volkswagen New Beetle — told the Detroit show crowd. 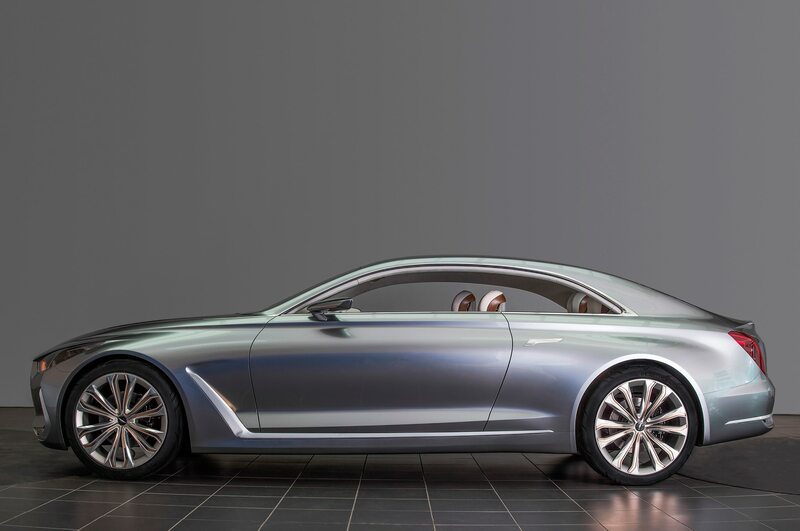 Genesis design will be distinguished by their RWD platforms’ “long dash-to-axle lengths, short overhangs and healthy stance,” Schreyer said. 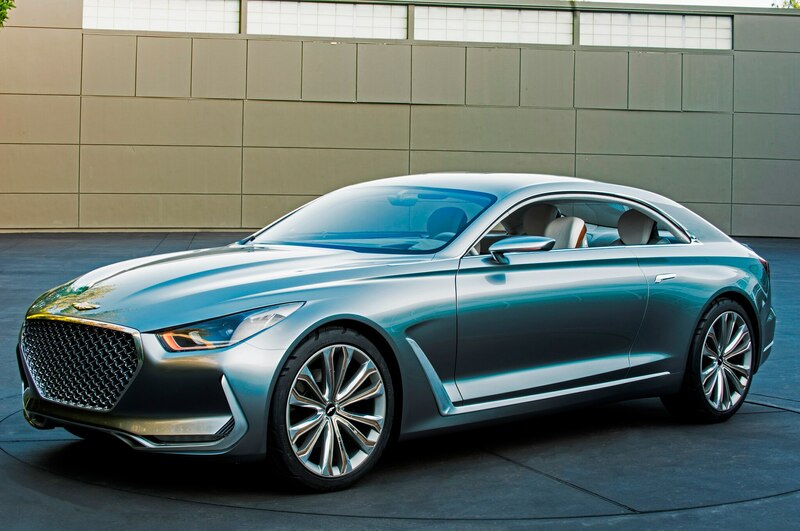 We got a hint of Genesis’ signature look with the unveiling of the Hyundai Vision G coupe last August at the Los Angeles County Museum of Art.